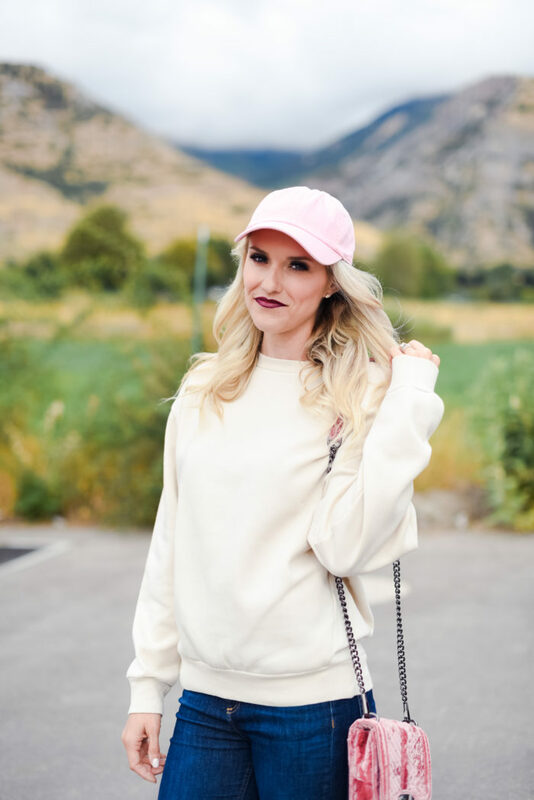 Dressing Casual for Women; Cute Looks for Moms! My everyday go-to look now that I’m a mama is casual! I like to wear jeans, tees and sneakers most of the time during the day. I need outfits that are comfortable and easy to move in, and also really easy to wash and keep looking nice. I also don’t want to have to worry about pairing items. I like to know that a lot of what is in my closet can be thrown together easily without much thought because when the twins are napping, I basically have to sprint faster than Usain Bolt to get showered, do my hair and makeup and put my clothes on. It’s actually impressive. Is it okay to say that I’m impressed with myself? Cause I am. I LOVE Nordstrom. I love that their Web site is so easy to search for exactly what I am looking for; whether it’s something that is casual or dressy. Nordstrom is my go-to when it comes to clothes and shoes for myself, and I love that they have free shipping. I loved this sweatshirt the moment I laid my eyes on it, and the love grew into a long-term relationship as soon as I tried it on. No one can tear us apart. It’s soft. Like…soft. And here’s the thing about dressing casual every day; I still like to look pulled together. I like to wear matching sneakers and tops, for instance, and I tend to gravitate toward neutral colors that can be paired easily. People, I’m all about the ease! I bought this hat in red a couples months ago and have worn it a lot so I just bought it in light pink. It’s the perfect hat for when you don’t want to wear your hair up in a bun, but maybe don’t have time to do your hair as well as you normally would. I like to spray some texturizing spray in my hair so it looks fine under a ball cap and I don’t have to worry about my roots, especially if my hair has gone a day too long without a shampoo. 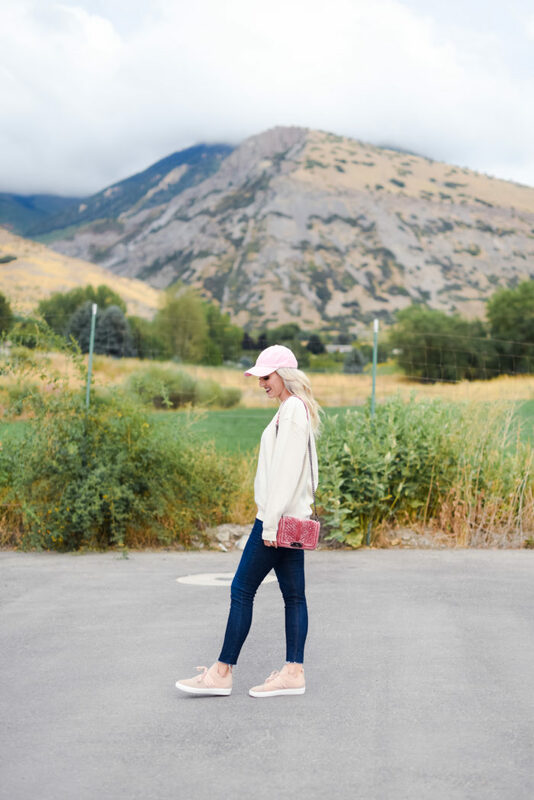 Andddd…these are all of my secrets to dressing casual every day and still looking put together. I need to be able to get ready fast! Now, if you’re looking for a more dressed up look, you can go here in case you missed it on Monday. 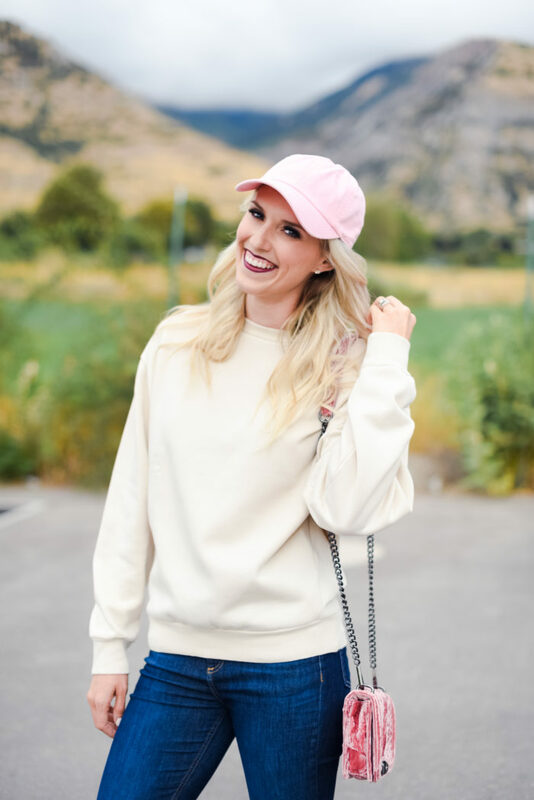 Below are some of my favorite casual go-to looks right now!